When was the last time you blew or threw someone a kiss? It is more likely you've actually kissed someone recently. Even more likely yet (if you have a smartphone or social media profile that is), you've probably scrolled through the hundreds of ideograms and smileys available and added the "Face Throwing a Kiss" emoji to tell that special someone that you love them or are thinking of them. Anyway, academics have traced the act of blowing kisses back to ancient Mesopotamia, where it served as a means to gain favor with the gods. Today, it is still a means to gain favor, but primarily with friends, loved ones, or romantic interests. In lieu of actually kissing someone in person, throwing them a kiss is the quickest way to send your love and affection, even from a distance. 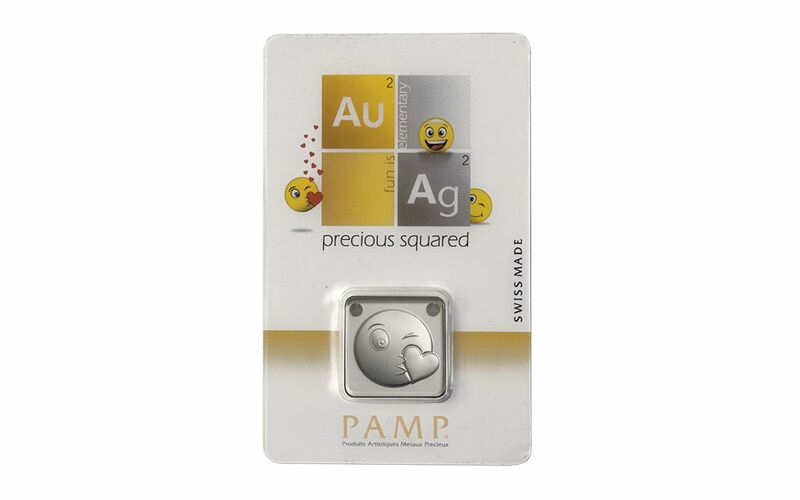 Kisses can be thrown the traditional way, via video chat, instant messaged, or texted, but the only way to send your ever-lasting love struck in 10 grams of 99.9% pure silver is to give this PAMP 10-Gram Silver Emoji Kiss Ingot Pendant. 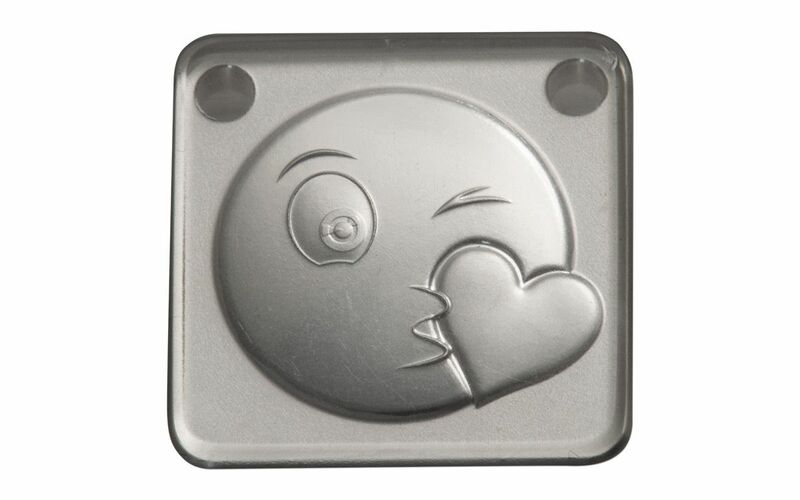 PART OF THE EMO-JOY SERIES-- This Emoji Kiss Ingot Pendant is part of the second wave of the Emo-Joy series, which uses the emoji icons that are so popular throughout social media and on smartphones to make each pendant design the perfect gift or jewelry option to express one's own pop-culture chic. 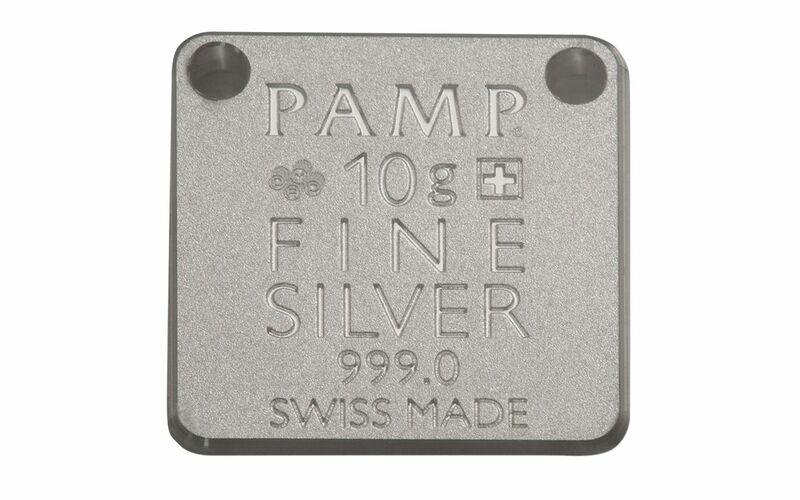 The obverse features a "Face Throwing a Kiss" emoji, while the reverse features the inscriptions "PAMP," "10g +," "FINE SILVER," "999.0," and "SWISS MADE." There are even two holes at the top corners to add a chain or tasteful cord and make a stylish necklace. 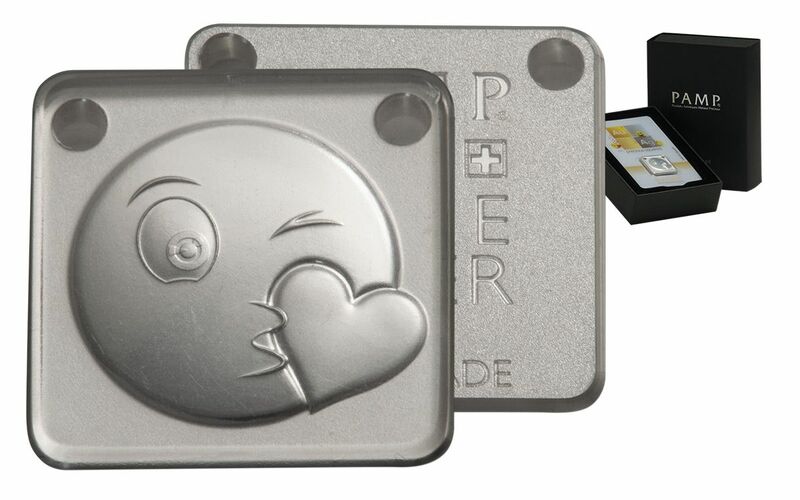 POP CULTURE THAT POPS-- Each Emoji Kiss Ingot Pendant is carefully minted from 10 grams of 99.9% pure silver with a playful contrast of both frosted and polished finishes, producing an almost three-dimensional effect evocative of the emotional energy of the series' charming icons. KISS-WORTHY PRESENTATION-- Each pendant comes secured within CertiPAMP™ packaging, complete with a unique serial number, the assayer's signature, confirmations of the weight and the fineness of the silver used, a black drawstring bag, and a black silken cord. From its origins as a submissive gesture to the gods to its versatile modern use as a casual expression of affection, the act of throwing a kiss is a mainstay in pop culture. 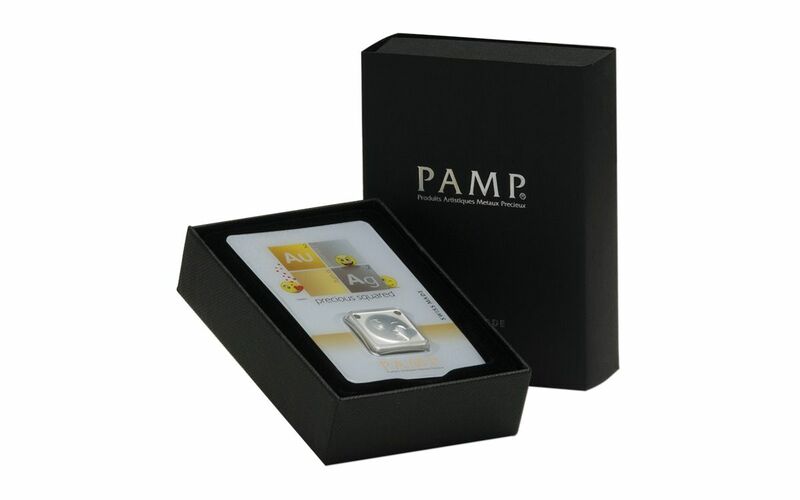 If you'd like us to throw you a much less temporary kiss for yourself or a loved one, you can order this PAMP 10 Gram Silver Emoji Kiss Ingot Pendant today from GovMint.com!